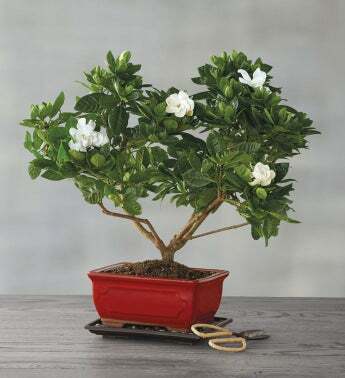 Contemplate the beauty of the creamy white flowers and rich green leaves of the gardenia as you mold it to your liking in the form of a bonsai tree. For sale pre-planted in its own ceramic container, this striking plant gift brings an air of elegance and a sweet scent to its environment. 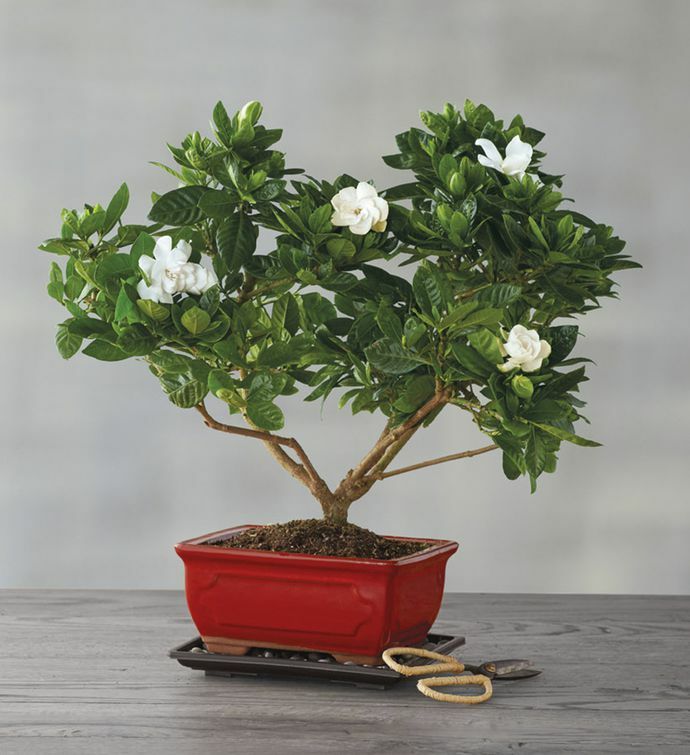 The gardenia bonsai requires weekly misting, indirect sunlight, and moderate temperatures to grow, and it can be trimmed and shaped as it flourishes. Suitable for USDA hardiness zones 8 through 10. Please note that container color may vary depending on availability.